Airport lounges have become increasingly accessible and sought after by passengers who need to find a comfortable space during layovers. Premium spaces with amenities ranging from cigar bars and wine cellars to spa treatments and chauffeur services are revolutionizing how passengers spend their time until boarding call. 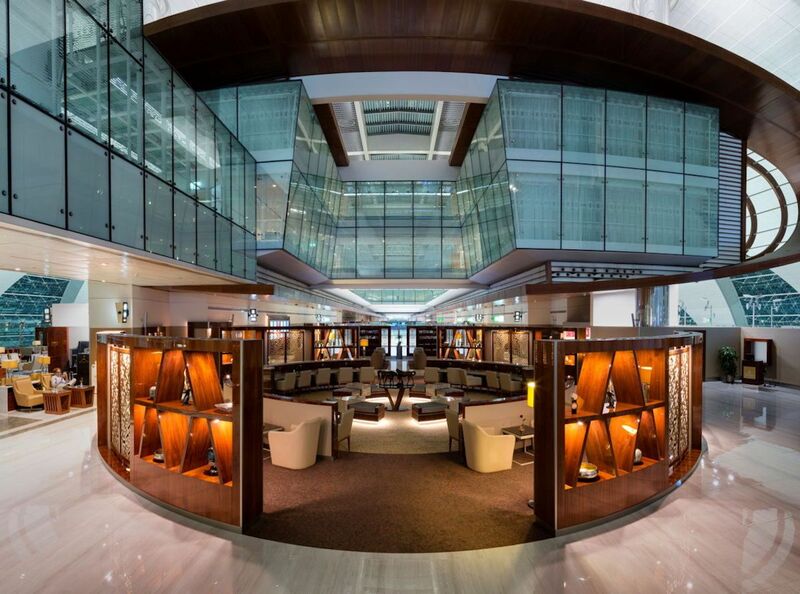 Here are some of the swankiest airport lounges in the world. Travelers rave about Cathay Pacific’s Pier lounge in Hong Kong, and now, you can experience that very same luxury in London. Renovated in 2016, the Cathay Pacific Lounge is located in Heathrow’s Terminal three. In the first class lounge, you can pour yourself a glass of bubbly at the self-serve bar, grab a snack from the fully-stocked pantry, or sit down for a meal at the all-day restaurant. In the business lounge just down the hall, you have access to arguably one of the best restaurants in the airport — the famous Noodle Bar. Once you’ve eaten your fill, settle down for a nap in a comfy chair overlooking the tarmac. 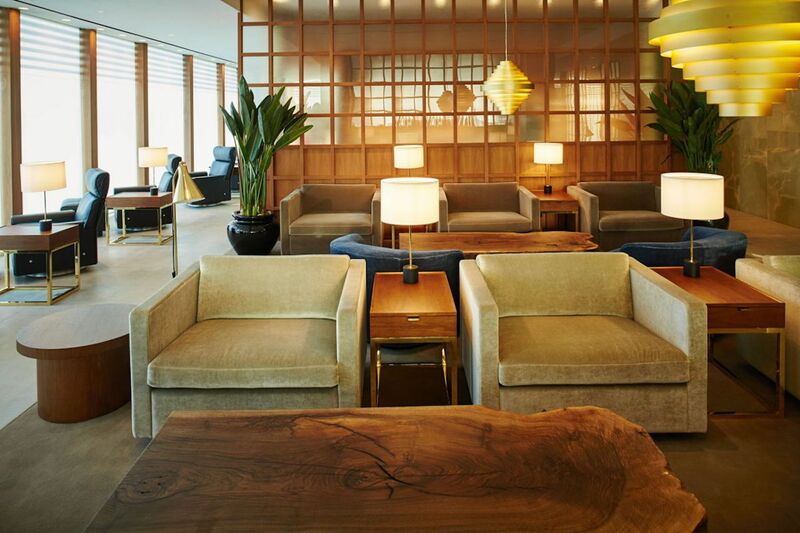 The lounge is available to first and business class passengers flying Cathay Pacific, as well as selected members of the airline’s Marco Polo Club. The Swiss know luxury, and in no place is that more evident than the Swiss First Lounge in Terminal E at the Zurich airport. In addition to multiple quiet areas with more than adequate seating, the lounge has two hotel rooms available for visitors. After resting up, grab a bite to eat at the five-star restaurant or enjoy a glass of wine from the lounge’s humidor which contains more than 1,000 bottles. The lounge also has champagne and whiskey bars, or if you’d rather have a milkshake, there’s also an American-style diner. But what really sets this lounge apart are the views from its outdoor terrace — you can check out what’s going on down on the runways or admire the Alps in the distance. 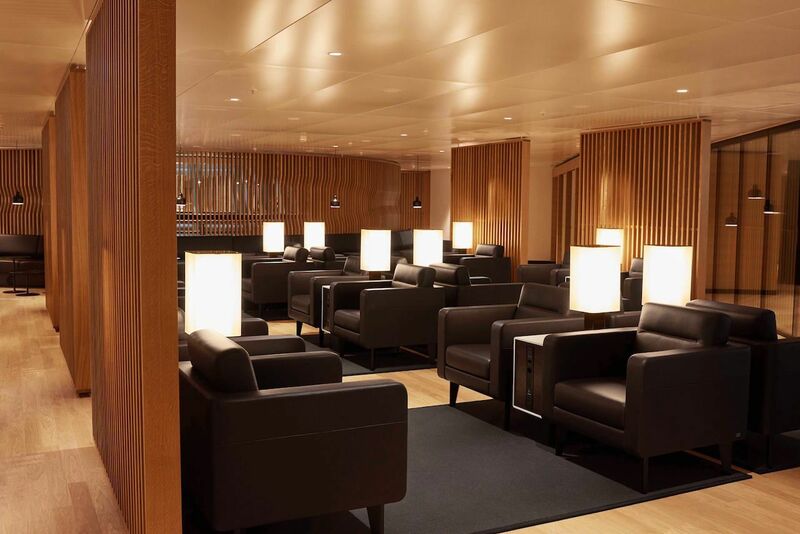 The First Lounge is accessible to Swiss Air first-class passengers, first-class Lufthansa passengers, and HON Circle members which requires 600,000 status miles every two years. Widely regarded among passengers as one of the best airport lounges in the world, Club Kingston embodies the spirit of Jamaica — starting with the chill reggae tunes continuously playing. Kick back in the spacious lounge while admiring the local artwork and island décor. If you’re hungry, help yourself to some traditional Jamaican food or quench your thirst with a fruity signature cocktail. The lounge is open to all departing passengers, regardless of class or airline. Lounge access starts at $25 per adult. Since the Dominican Republic is such a popular vacation spot, it’s fitting the Punta Cana airport has a lounge worthy of a holiday. 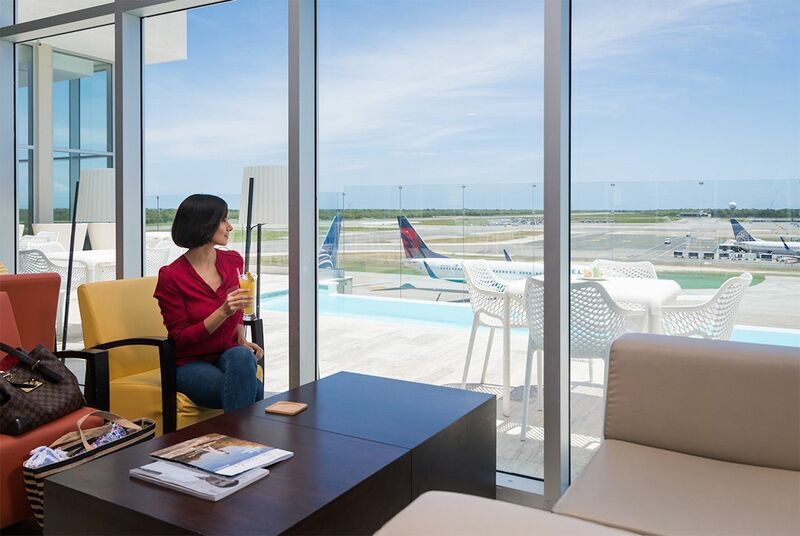 Many airport lounges offer views of the runways, but the VIP lounge in Terminal B takes it to the next level with an outdoor pool overlooking the tarmac. Other amenities include complimentary alcoholic drinks, food, showers, and ample seating. The lounge is open to Lounge Club members. A standard Priority Pass membership costs a $99 joining fee plus $27 for every lounge visit. At the Salon VIP in Québec City Jean Lesage International Airport, the staff put passengers first and strive to create a comfortable atmosphere away from the often hectic experience of international airports. If the warm tones and natural materials don’t relax you, then the free massage chair and fireplace will certainly do the trick. Other amenities include full-bar service, light dining, reading material, a business center, and an entertainment area. Any passenger with a valid boarding pass can use the lounge for up to four hours. Passes start at $40 per adult. Your Emirate First Class Lounge experience begins when a chauffeur picks you up at your hotel to take you to the airport. Once you’ve checked in for your flight and made it through security, you can curl up in one of the lounge’s chaise lounges or have a seat near the tranquil fountain. If you need a glass of wine to help you unwind, there are sommeliers to help you make a selection from the wine cellar. Other amenities include two restaurants serving international cuisine and spa-like showers to keep you from looking like a traveling zombie. The lounge is accessible to Emirates first class and business class travelers, as well as Emirates Skywards Platinum and Gold members. 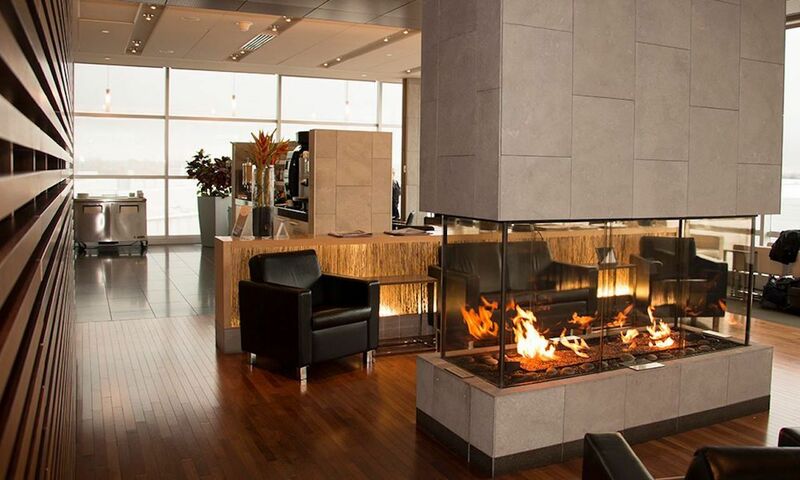 Located in JFK’s Terminal 4, the Virgin Atlantic Clubhouse has glamorous lighting and elegant furniture. The skilled mixologists behind the bar and the billiards table look like they belong in a cocktail lounge rather than an airport. The staff is well known for their attentive service — no self-serve stations here. Amenities include private rooms, premium food, and spa services. Before your flight, you can squeeze in a massage, facial, or haircut. The lounge is open to Virgin Atlantic Upper Class passengers, Flying Club Gold members, and elite status passengers flying with partner airlines. 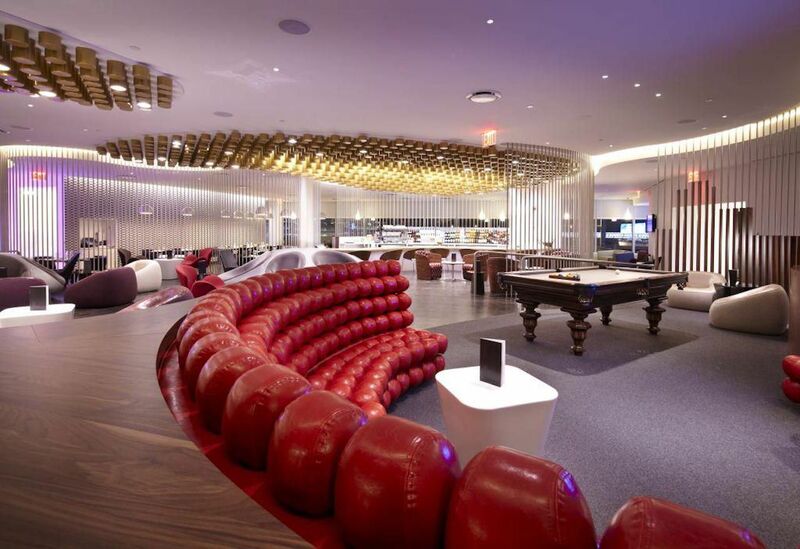 For $75, any Virgin Atlantic passenger can purchase a day pass to the lounge. The SATS Premier Lounge at Singapore Changi International Airport is amazing. Fragrant orchids and delicate porcelain integrate into the modern design to give the lounge a luxurious feel that is quintessentially Singaporean. You can enjoy traditional cuisine year-round, but if you visit the lounge during the annual Mid-Autumn Festival, you’ll be treated to some amazing mooncakes. You’ll still be thinking about this delectable pastry long after departure. This lounge is open to the public and access starts at $42 per adult.